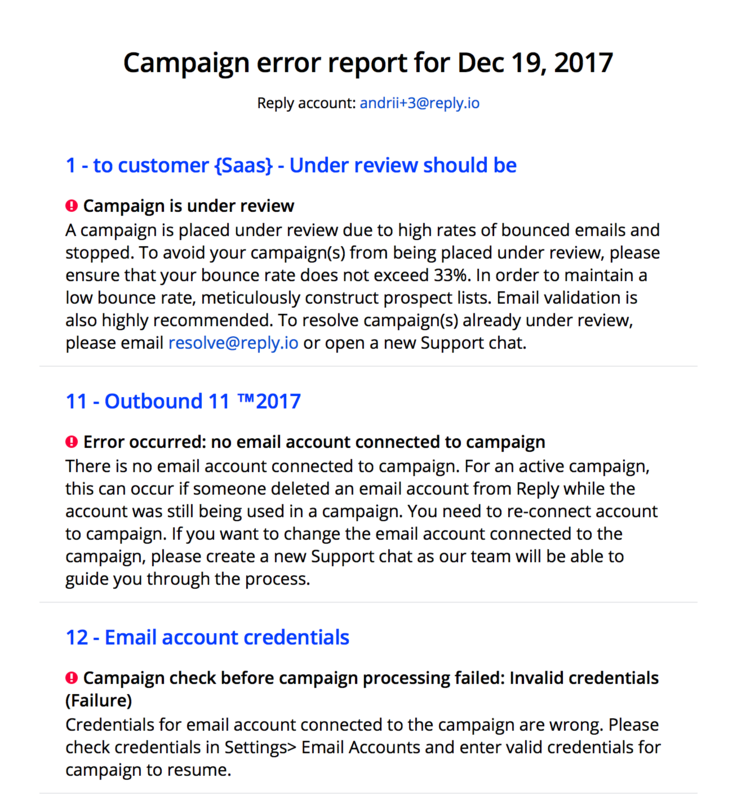 Error report feature is helpful for all users that want to be notified automatically if something happens to their active campaigns. You can receive an email report about errors that have occurred in your campaign(s) for the last 24 hours. Open the Emails tab of the Settings page. Expand the Email notifications section. In the Send reports on campaign errors drop down menu, select Daily. Note: you can enter additional recipients of reports. To to this, enter one or several email addresses in the Email subscribes field, press Enter and click Save Settings. Daily limit per campaign reached. Daily limit per email account reached. Monthly limit for unique contacts reached. No prospects in active campaign (different reasons). No email account connected to active campaign. Some prospects in campaign have reached the daily sending limit per prospect.